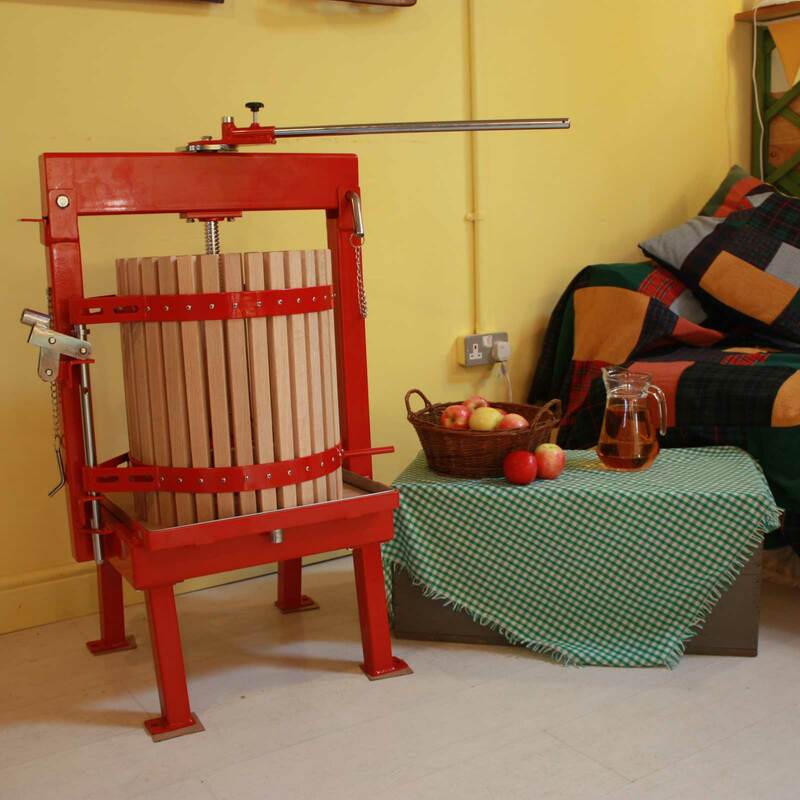 Produce up to 12 litres in one operation of freshly pressed apple juice with this tough, steel and beech constructed 36 Litre Cross-Beam Press. 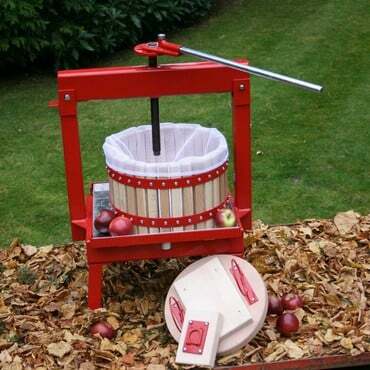 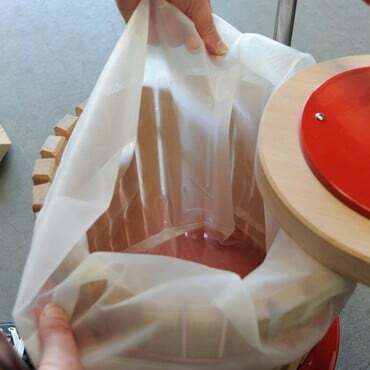 Operation is simple; fill the press cage with an optional Straining Bag, (available separately) add your crushed apples and wind the handle to force fresh, pure apple juice through the beech staves and into the collection tray. Each operation can crush approximately 29Kg/70lbs of milled apples and produce around 12 ltrs/22 pints of refreshing juice. 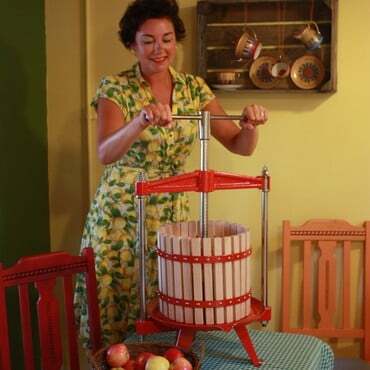 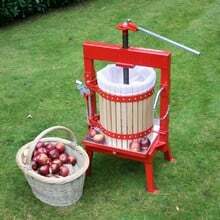 If you're just getting into fruit pressing or don't have quite so many apples or pears to crush, try our 12 Litre and 20 Litre Presses for size - we even stock a specialist Fruit Crusher to prepare your fruit for pressing and help ensure you extract every last drop of juice! 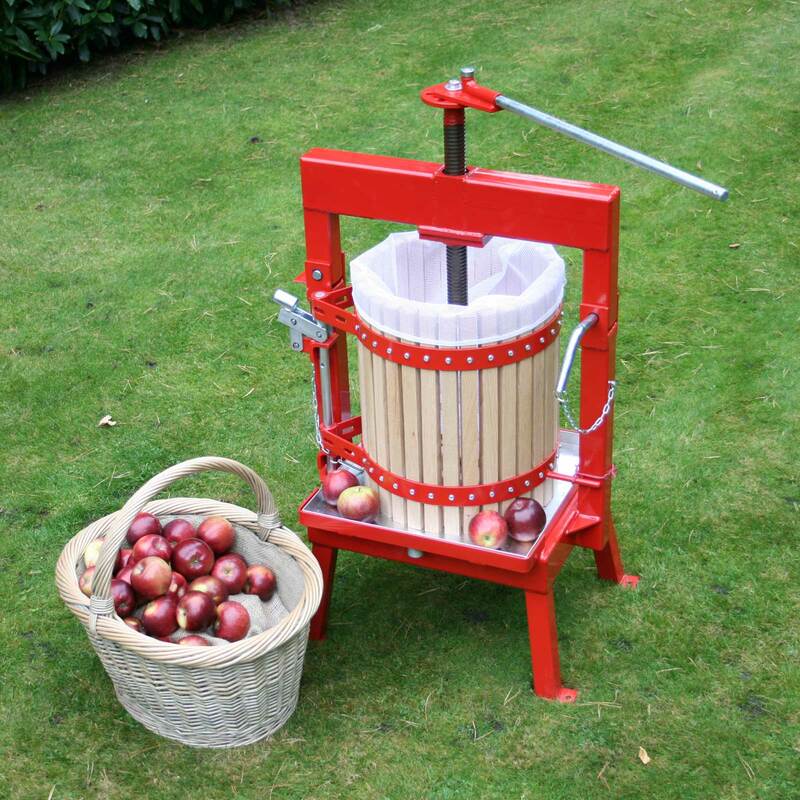 Overall very pleased with the press and crusher. 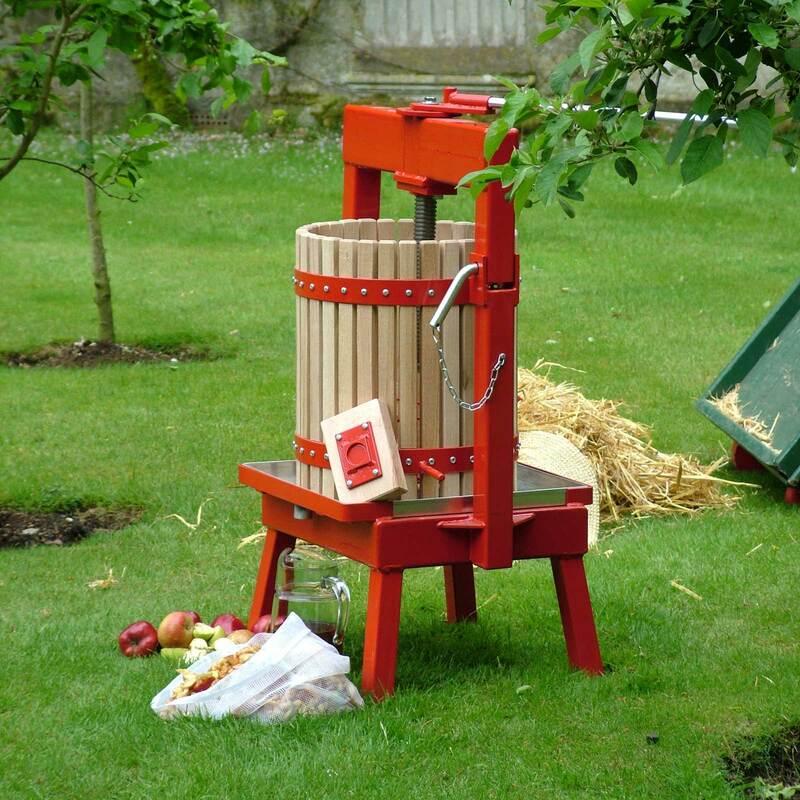 Glad I chose the larger model for my 10 tree orchard. A very substantial piece of equipment. 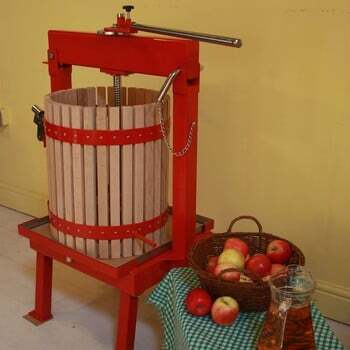 Well built and easy to use. 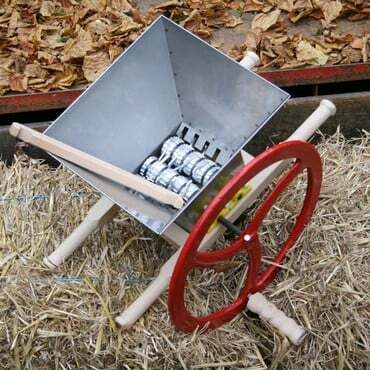 Delivery was fast and aftersales service form Harrod Horticultural was excellent.